Anyone else already combating colds like crazy this season? Me me me (raising my hand). Lucky me (blah!). But there is nothing more refreshing for a sore throat then an icy, fruity smoothie like so. 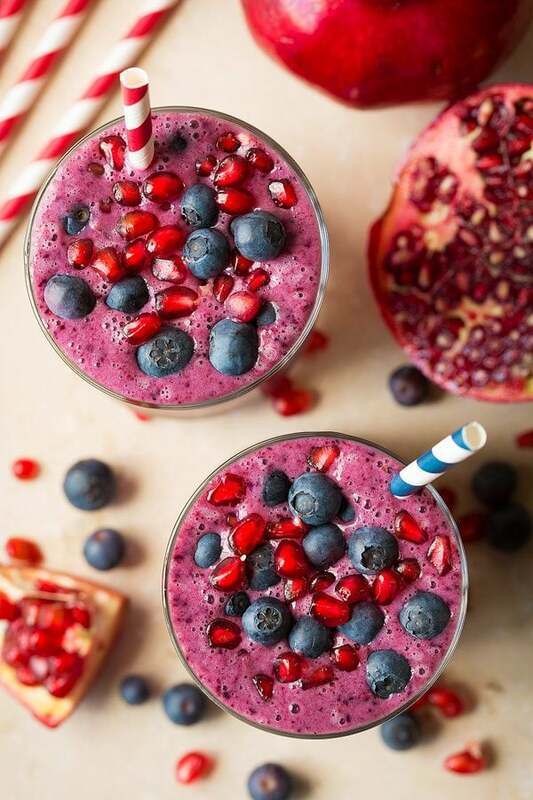 This Wild Blueberry Pomegranate Smoothie has been one of my go to smoothies lately and I love all the vibrant flavors in it, plus the blueberry and pomegranate flavors just go together. 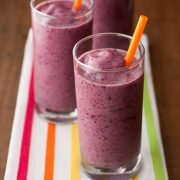 This is a smoothie my whole family loves and I love that it’s packed with good for you ingredients. 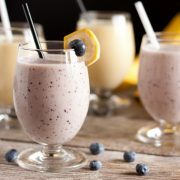 I made this smoothie in my favorite blender – my Blendtec Blender. We could probably say these blenders are life changing without that statement seeming too dramatic :). But really, I used to use a lower end blender because I didn’t want to pay over $90 for a blender. And it wasn’t until I was probably on my fourth blender, and 5 minutes a blend because I’d have to keep stoping and stirring and even add more liquid than should be necessary, and I finally realized it’s worth the investment to buy a Blendtec Blender. 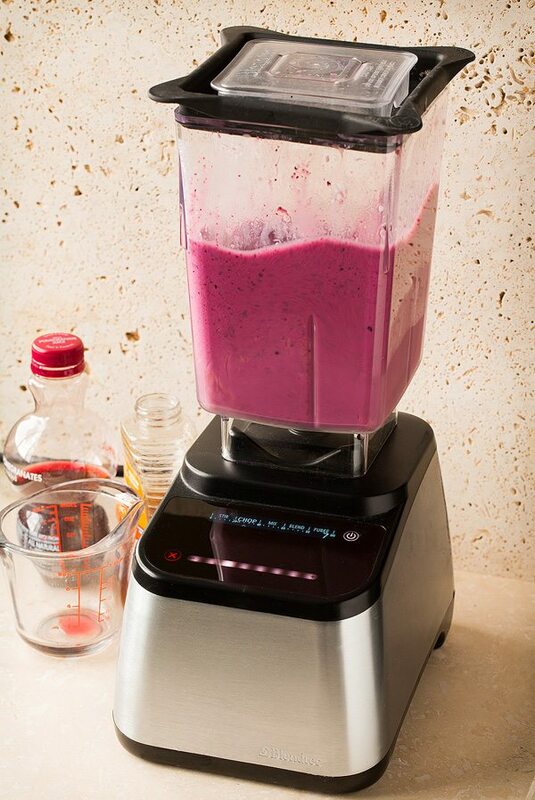 These blenders are built to last (plus you can have peace of mind with the 8-year warranty they offer). Simply put I really love my Blendtec Blender (I have this model). I leave it on my counter and never put it away (which is a big deal around here because I have a lot of different cooking gadgets and what not) but this blender is definitely one of my favorite kitchen tools. I use it nearly every day and if you are looking to buy a new blender I highly recommend this blender. And yes, with the holidays just around the corner it would be a great thing to ask for (send this post to a loved one – hint hint :). Or just a great thing to gift to yourself because we all need to treat ourselves sometimes. Try this smoothie soon! 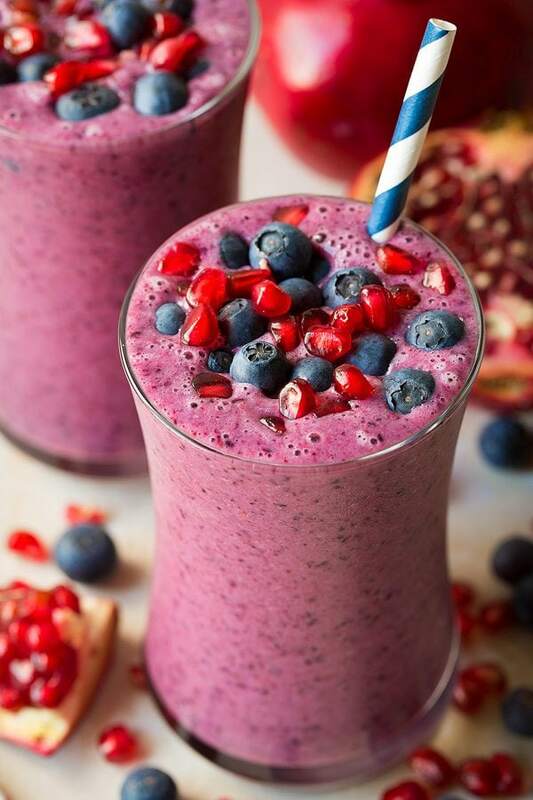 It makes for a great breakfast and it’s a smoothie you can enjoy year round since it uses frozen blueberries and the pomegranate juice is also sold year round. 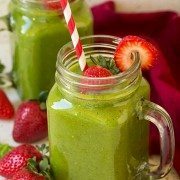 More Smoothie Recipes You’ll Love! This is the perfect winter smoothie! It's a vitamin, flavor packed drink you'll want on repeat. Plus it's a healthy breakfast or snack even kids will love! 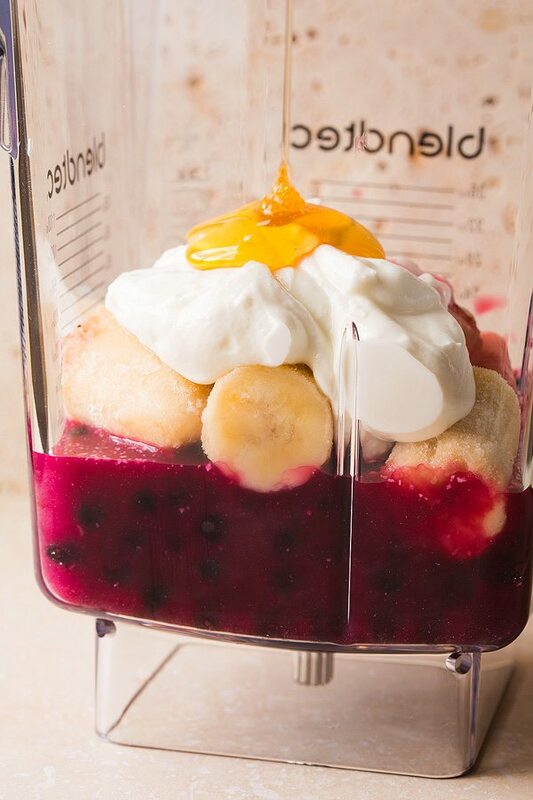 Add all ingredients to a blendtec blender and blend until smooth. This post was created in partnership with Blendtec, however all thoughts and opinions are my own.